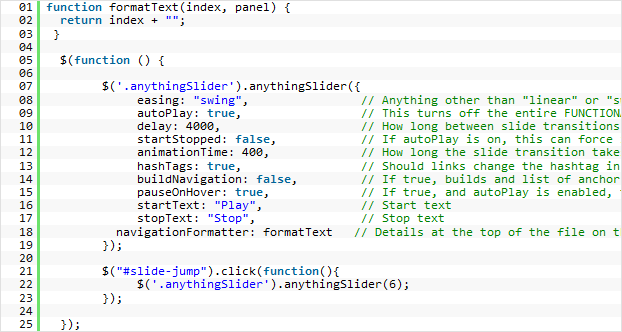 This is a Slider Script that uses anythingSlider plug-in. • Support for the hash tags. 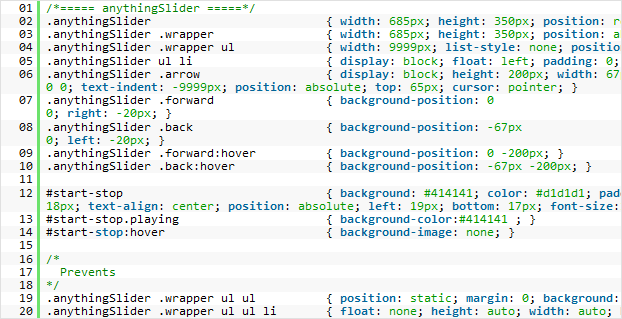 When using this slide you just need to put a list of slides into the <div> tag with the .slider class. Every list element (<li> tag) represents a slide. So in order to customize slider elements you will need to change images under the <li> tags.